Down home music and dance for any occasion. 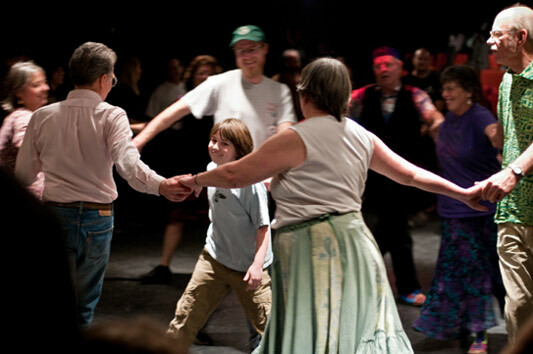 Make your next event unforgettable with a lively, all-ages old-time country dance. Nothing complicated, just good old-fashioned fun, with a genial caller and a fine band. No experience necessary! All dances are taught on the spot. We'll do the Virginia Reel, big circle dances, squares dances, a waltz, who knows, maybe even a polka! As a caller and dance musician for over 30 years I have hosted countless weddings and private parties and called at major dance and music festivals across the country. ©Charles Espey Dare to Be Square, 2009. The floors needed sanding, so we removed all the furniture. What a great time for a dance party!